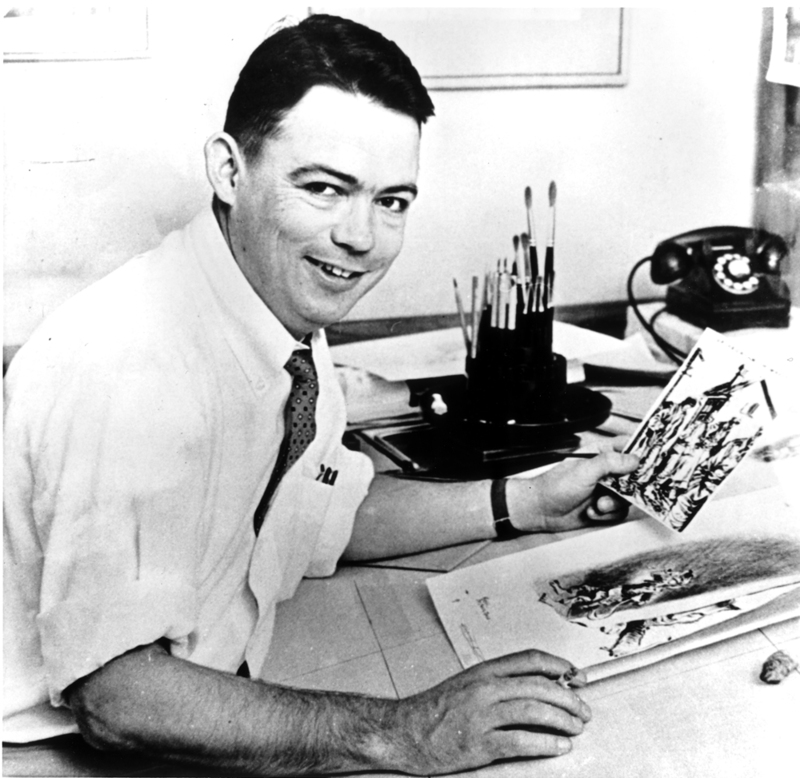 William Henry Mauldin joined the Army newsletter Stars and Stripes as a cartoonist during World War II. There he perfected Joe and Willie, the muddy, weary “dogfaces” who portrayed the drabness of the foot soldier’s life. Despised by the conservative brass as disrespectful but loved by G.I.s as their own, the cartoons won Bill Mauldin a 1945 Pulitzer Prize. A self-styled “stirrer-upper,” Mauldin joined the St. Louis Post-Dispatch in 1958. Dubbed “the hottest editorial brush in the U.S.,” he won his second Pulitzer Prize that year. Syndicated in over 250 newspapers, Bill Mauldin battled injustice and pretense with irony and humor. St. Louis Post-Dispatch Visit the official site of the St. Louis Post-Dispatch. Martin Quigley (Author) accepted on behalf of Mr. Mauldin.